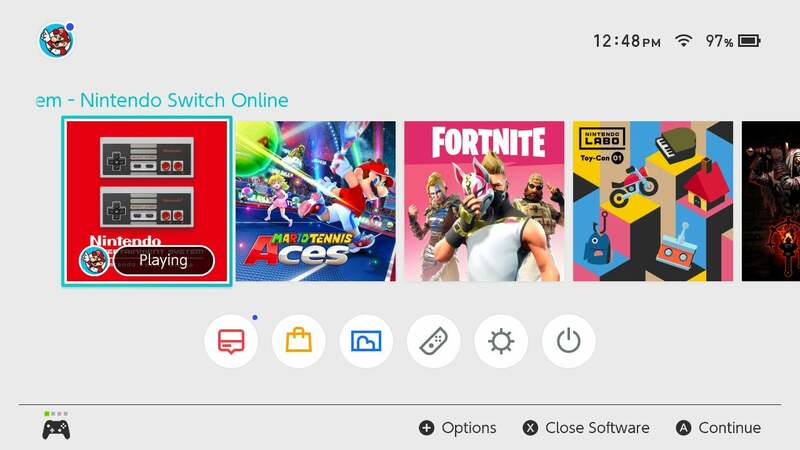 Even if it’s technically new, Nintendo Switch Online shouldn’t seem especially new to anyone. Like Xbox Live Gold for the Xbox One and PlayStation Plus on the PlayStation 4, the new £18 subscription for everyone’s favourite “hybrid” console confers a couple services gamers on other platforms would consider standard—the ability to play games online and access to cloud storage for game saves—as well as a couple of bizarre features, like online chat through a phone app (don’t ask), and offers to buy exclusive products like NES-controller shaped Joy-Cons. Its one truly enticing offering is access to a small catalogue of NES games. 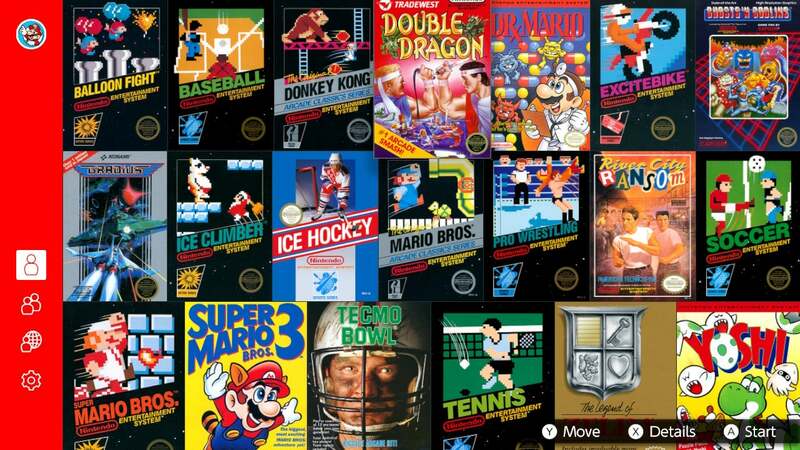 With 20 games at launch, the Nintendo Switch Online NES app is the closest thing to a Nintendo back catalogue available on the Switch. The games are as fun as ever, and potentially even better if you play them with a friend online. Making Nintendo’s back catalogue accessible through a subscription feels right. I’ll pay for the classics, but it certainly feels off to be paying to get online with the Switch at all. Since Microsoft introduced Xbox Live in 2002, online subscription services have generally become an accepted cost associated with playing games on both PlayStation and Xbox. In the years since, many of the most popular games have required internet access for at least part of the experience, so the likelihood that you’ll want either console but not need the service is pretty low. A lot of us pay without even thinking about it. The Nintendo Switch is a weird console, and the desire to play games online isn’t a given. For a console you can play on a TV or as a portable device, the definitive Switch experience is something you can play regardless of whether or not you have an internet connection. Though many of the Switch’s best games have at least some online functionality, there are very few, if any, that demand it. And there’s evidence that many Switch owners are perfectly content staying offline. In 2018, developers found success porting well-regarded indies to the portable console. Less flashy, GPU-intensive games that some players might have missed like Stardew Valley and Hollow Knight have found new life on the Switch. Many, if not most of these, are made to be played alone. Their second winds suggest that, whether or not players missing the wealth of online games found on other platforms, they are finding new value in the console’s portability without a constant connection. The Switch offers the promise of freedom to play games anywhere and at any time without compromise. Though we, critics and fans, tend to see this in terms of the ability to play with or without a TV, I think that freedom applies to freedom from the internet as well. 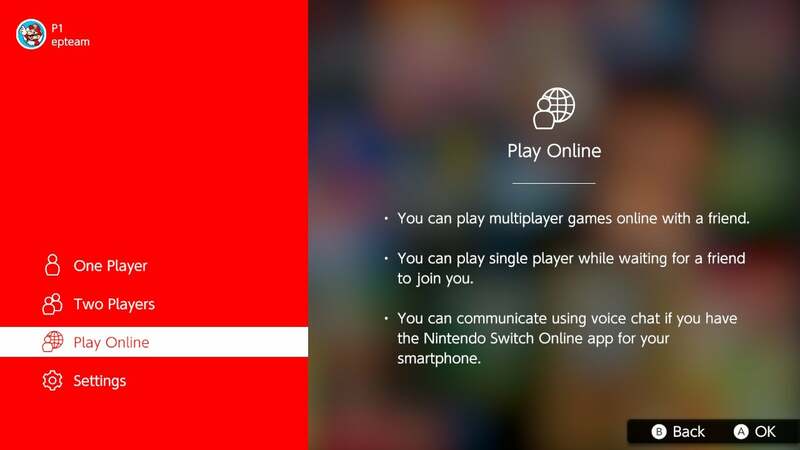 Though the Switch can connect to wifi, and has games that use or even require a connection, it is not necessary to maintain a constant, stable connection to the internet. Or, more importantly, it doesn’t feel necessary to maintain a constant, stable connection to the internet. I don’t know about you, but I’m not just addicted to the internet. I have a compulsive need to be connected. When I’m using a device that isn’t, I get nervous and feel an overriding drive to fix whatever problem severed it. When my phone doesn’t have service, I start walking around in circles trying to get it back. I get antsy when I can’t connect to wifi on my laptop at a coffee shop or an airport, whether I need it or not, to the point where I’ll consider getting up and finding a new spot where I’ll be able to get back online. Sometimes there’s a reason why I need the internet, but even when there isn’t, I’m freaking out if I’m disconnected. But the Switch doesn’t make me feel this way. I turn it on, and unless I’m looking to download a game or specifically play a game online, I don’t even check to see if I have an internet connection. I just turn it on and play. If I load up my Xbox One and the ads – which I hate – don’t load into the dashboard, I immediately drop what I’m doing to check the network settings. You don’t always need to be connected to use the Xbox One (or the PS4), but its systems work in a such a way that you always know when you aren’t online. You know that something is wrong. By contrast, so many elements of the Switch are designed to let you avoid connecting to the internet. In 2018, this seems almost unheard of for a portable device. The Switch’s Joy-Con controllers are made to foster local multiplayer, as are many of Nintendo’s own games. In most cases, playing online seems like a last resort. This has been part of Nintendo’s approach to making games and consoles for a long time. Where the past decade has seen the gaming industry lean into connection with the wider world of technology, Nintendo has done everything it can to stay focused on its role as a toymaker. Its poorly constructed, inconvenient approaches to interfacing with the internet, like the Wii U’s AOL-like Mii-Verse and cumbersome Friend Codes, seem like half-hearted concessions. Nintendo furnishes its consoles with internet access because we require it to do so; it shows signs that it’s still uncomfortable with the idea. You could argue that it’s an extremely small cost, so why not go in and give yourself the option? At £18 per year, Nintendo Switch Online is cheaper than Xbox Live Gold or PS Plus. That’s a perfectly reasonable argument that I think a lot of people will adopt. Similarly, while the NES game library feels thin now, it will hopefully grow over time. Once it has enough of the hits (and maybe some of my favourites from the SNES and N64, as well), I would happily pay the price just for Nintendo’s back catalogue. But right now I’d argue against it because Nintendo Switch Online detracts from the Switch’s best feature by making the internet appear more vital. If forced to choose between playing Nintendo games and having a device that doesn’t tax my mental health every time I’m out of wifi range, there’s no question. I choose the latter. The freedom it offers, even in its least significant forms, is far more valuable. Illustration: Chelsea Beck (GMG) | This story originally appeared on Gizmodo.